Antiglycative effect of Kaempferia parviflora Wall. Ex. 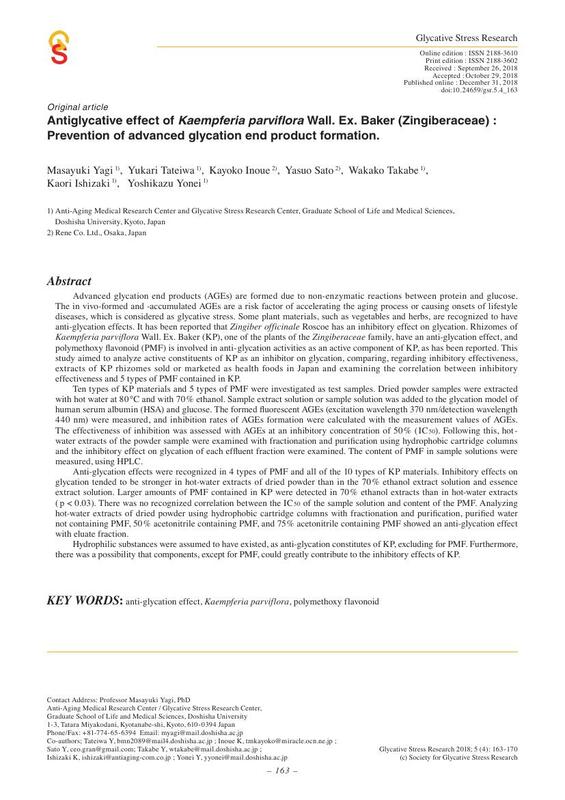 Baker (Zingiberaceae) : Prevention of advanced glycation end product formation.